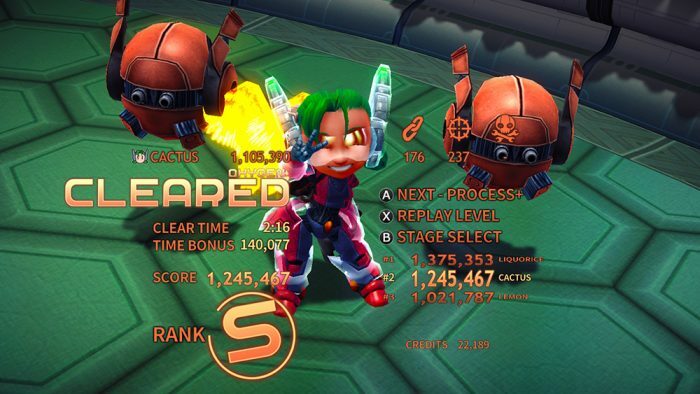 “Why the hell haven’t I played Assault Android Cactus before now?” That was a phrase that kept popping up in my head after getting deep into the game on the Switch. The now half decade old game has popped up on several gaming devices, but it wasn’t until now that I finally tried it. 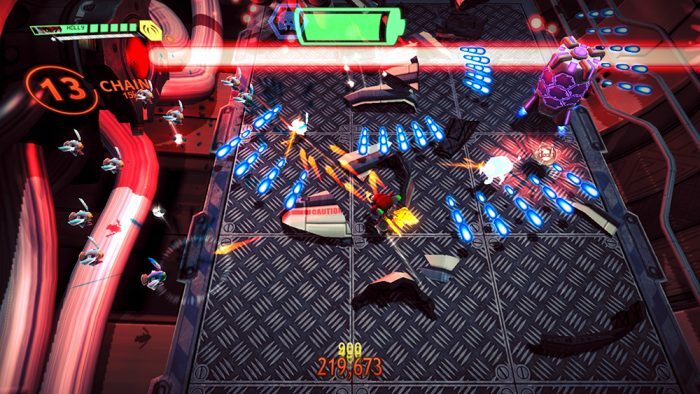 Score-based bullet hell shooters are fairly common these days, but there’s some incredible polish with AAC that continues to let it stick out from the rest. The game is hectic and fast, emphasized by waves of enemies that seem to never end, but when we get to that final “clear” it’s an incredibly satisfying feeling. HOW we get there usually requires us to make some wild score sacrifice, like missing one of the timed combos (we only get 2.5 seconds to keep a kill combo going) or forgoing a weapon upgrade, or dropping a chance to get a great score bump. Thankfully, there are plenty of ways to rack up my score higher the next time I jump in, so there is always something to come back to for improvement. The arena-like layouts of the 25 levels is appreciated. They’re not overly complex, but are full of enough hazards and obstacles that a combination of their design and the numerous enemy waves make for a great challenge each time through. And, because everything works off of a battery system, I’m not as afraid to get hit by bullets. The game thereby makes me feel slightly more courageous and daring by effect, especially when I’m basically near empty and there’s a battery across the room that I need to get. This also pumps me up in other ways. There are tiers of enemies in the battle, with some being easier than others, like drones and brutes, and bosses that completely rocked me a few times. Where in most games I tend to go for all of the weaker enemies first, in AAC I find myself going directly after the brutes by clearing a path through the drones, letting the bullets fly all around me. The game has plenty of variety to keep us returning. There are nine androids to play as, all with different weapons and strengths, and the new + additions ot the game include a more challenging Campaign+ mode and costumes. But one aspect I appreciated that’s exclusive to the Switch is the single Joy-Con mode, which even though makes things easier for me to play while one hand is in a popcorn bowl or holding a sandwich, is ultimately designed for improved accessibility. AAC looks good on the big screen but feels perfect in handheld, without being too cramped or overpowered on the Switch’s screen, and is a great game to take out at lunch and try to best my own score. Dammit, I like feeling foolhardy and fearless and bold, even when I know I’m under powered, and especially with the chaos of bullets flying everywhere while I charge headfirst to get a stupid little battery in a corner of the screen. 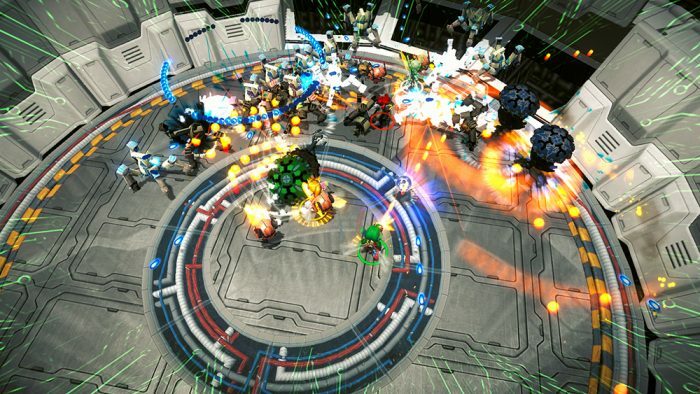 Witch Beam’s Assault Android Cactus+ has held up so very well over the last few years. With undoubtedly its best version, the game has found its perfect home on the Switch. This Hot Take Review is based on an eShop code sent to SideQuesting by the publisher.